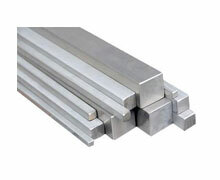 Stainless Steel 321/321H Square Bar Supplier, SS 321 Square Bar, SS 321H Bright Square Bars Exporter In Mumbai. Skytech Metal is a known trader, distributor and exporter of SS 321 / 321H Square Bars, which is stabilized against chromium carbide formation by the addition of titanium. This addition in Stainless Steel 321 Square Bars is made to reduce or eliminate chromium carbide precipitation - resulting from welding or exposure to high temperatures. Stainless Steel 321H Square Bars are used because they are not sensitive to inter-granular corrosion after heating within the carbide precipitation range of 425°C - 850°C. 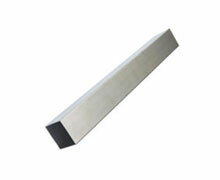 SS 321 Square Bars is also advantageous for high temperature service because of its good mechanical properties. SS 321H Square Bars is similar to SS 304 Square Bars but with a titanium addition of at least five times the carbon content. Since titanium in Alloy 321 Square Bars has a stronger affinity for carbon than chromium, titanium carbide precipitates within the grains instead of forming at the grain boundaries. Alloy 321H Square Bars also improves the elevated temperature properties of the alloy. 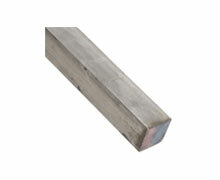 Our 321 Stainless Steel Square Bars is a heat resistant grade supplied into numerous industry sectors. Characterized by high corrosion resistance in general atmospheric corrosive environments, these 321H Stainless Steel Square Bars exhibits excellent resistance to most oxidizing agents, sterilizing solutions, general foodstuffs, dyestuffs, most organic chemicals plus a wide variety of inorganic chemicals, also steam combustion gases, hot petroleum gases, nitric acid, and to a lesser extent sulfuric acid. Stainless Steel 321/321H Bright Bar Exporter, Steel UNS S32108 Square Bar Stockist In Mumbai, Stainless Steel 321 Square Rod Stock, 321H SS Square Rod / Bar, ASTM A582 SS Square Bars Supplier, SS DIN 1.4541 Square Rod Supplier, ASTM/ASME A276 Steel Square Bar Stockholder, Stainless Steel 321 Square Rods Manufacturer, SS UNS S32109 Square Bar / Rod Exporter in India, SS Square Rod Dealer, ASTM A564 SS 321 Square Rods Supplier In India, SS 321H Square Bar, SS 321 Bright Square Rods Manufacturer, 321H Stainless Steel Square Bar Supplier, ASTM A276 321/321H Stainless Steel Square Bar Exporter, Stainless Steel 321 Square Bars. Dallas, Surat, Indore, Jeddah, Manama, Melbourne, Faridabad, Rajkot, Al Khobar, Coimbatore, Busan, Courbevoie, Jamshedpur, Aberdeen, Vung Tau, Gurgaon, Riyadh, Vadodara, Algiers, Santiago, Nagpur, Kanpur, Lagos, Chiyoda, Jakarta, Sydney, Lahore, Perth, Houston, Bengaluru, Cairo, Secunderabad, Montreal, Colombo, London, Sharjah, Mumbai, Calgary, Kolkata, New Delhi, Hong Kong, Port-of-Spain, Ranchi, Bhopal, La Victoria, Madrid, Visakhapatnam, Gimhae-si, Ahmedabad, Los Angeles, Ulsan, Hyderabad, New York, Dammam, Ernakulam, Al Jubail, Thiruvananthapuram, Milan, Baroda, Brisbane, Noida, Kuala Lumpur, Bangkok, Pimpri-Chinchwad, Seoul, Ho Chi Minh City, Bogota, Doha, Mexico City, Istanbul, Ahvaz, Petaling Jaya, Nashik, Jaipur, Howrah, Hanoi, Rio de Janeiro, Moscow, Thane, Abu Dhabi, Navi Mumbai, Geoje-si, Toronto, Ankara, Pune, Muscat, Tehran, Singapore, Karachi, Chennai, Atyrau, Granada, Edmonton, Caracas, Haryana, Ludhiana, Dubai, Kuwait City, Chandigarh. Ecuador, Ghana, United Kingdom, Algeria, Ukraine, Bangladesh, Libya, Netherlands, Russia, Trinidad & Tobago,Tunisia, Iran, Zimbabwe, Poland, Hungary, Nigeria, Switzerland, Sri Lanka, China, Egypt, Nepal, Mexico, Austria, Qatar, Israel, Germany, Kuwait, Vietnam, Iraq, Gambia, Brazil, South Africa, Oman, Portugal, Argentina, Lithuania, Bulgaria, South Korea, Morocco, Malaysia, Azerbaijan, Angola, Colombia, Estonia, Taiwan, Pakistan, India, Norway, Yemen, Tibet, Philippines, Belarus, Bolivia, United Arab Emirates, Kenya, France, Peru, Greece, Jordan, Puerto Rico, Mexico, Afghanistan, Gabon, Czech Republic, Macau, New Zealand, Kazakhstan, Costa Rica, Thailand, Lebanon, Poland, United States, Finland, Saudi Arabia, Indonesia, Hong Kong, Bahrain, Mongolia, Romania, Namibia, Denmark, Iran, Canada, Sweden, Turkey, Spain, Chile, Australia, Slovakia, Singapore, Bhutan, Ireland, Serbia, Belgium, Italy, Venezuela, Japan, Nigeria, Croatia, Chile.